CURIOUS LITTLE BIRD: Hooo! Miniature Owl Brooches Are Here! Hooo! Miniature Owl Brooches Are Here! I have created some really awesome, yet miniature brooches for the upcoming craft fair. They're a whopping 4.5 cm wide, and 6 cm tall. That works out to be about 1.7 in x 2.36 in. I don't have much to say about them, except that they're awesome! Oh yah! I will be listing them on Etsy soon, and will be selling them as a made-to-order sort of deal. The only problem is I'm using fabric scraps, and I usually only have one piece of each which is enough to make 1 brooch, maybe 2 if I'm lucky. So if you're interested, you'll have to contact me personally, but I've provided a photo of a handful of the gorgeous fabrics I do still have available for the brooches! One more thing... I got amazing news! There's a store in Montreal called Minizabies. It's in Rosemont, on Beaubien street, and they want to sell my plush!! EEEEEeeee!!! I'm so excited!! Ok here are the really cool owl photos! 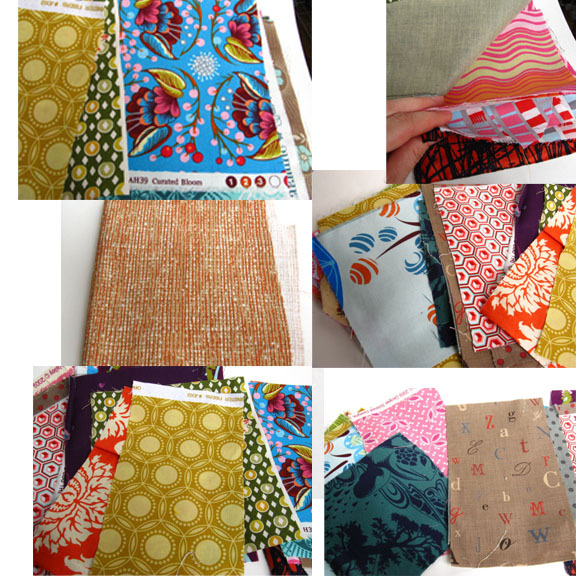 This is half of the fabric scraps I have for the awesome brooches!